The County of Pulaski was created from portions of Montgomery and Wythe Counties on March 30, 1839 when Pulaski County became the 87th county of the Commonwealth of Virginia. 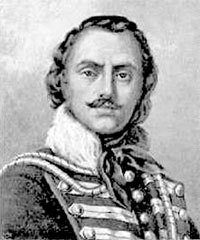 The County was named in honor of Count Casimir Pulaski, an exiled Polish nobleman who came to America and joined George Washington’s army in 1777. After becoming a brigadier-general and chief of cavalry in the Continental Army, the Count gave his life in the cause of American Freedom when he was mortally wounded at Savannah in October 1779. On May 9, 1839 sixteen gentlemen justices, newly commissioned by the Governor of Virginia, met at James Tiffany’s Tavern in Newbern to hold court and set up the new county government. One of the first actions taken by these gentlemen was the appointment of Benjamin R. Floyd, son of past Virginia Governor, as the county’s first commonwealth attorney. Shortly thereafter, the court divided the county into four districts, Northeastern, Northwestern, Southeastern and Southwestern. In the year 1840 the sixth census of the United States was taken. According to this census, the total population of Pulaski County was 3,739, consisting of 2,768 free whites, 971 blacks, with only 17 of this number being free blacks. Therefore, slightly over a fourth of the population of Pulaski County at this time was slaves. These slaves were owned by 109 families with most of these families owning less than 10 slaves. In 1840 the county was largely agricultural with 1,525 people employed in this profession. There were 142 employed in manufacturing and various trades with only six professional men. Just twenty-one years later in 1861 the Pulaski Guards (soldiers) boarded a train at Dublin headed to Richmond. Organized in 1859, the Pulaski Guards were the first to leave Pulaski County for active duty. They later became a part of the famous Stonewall Brigade. The Civil War called upon the county men to make a great sacrifice over the four bloody years of the war. Well over twice as many Pulaski County men died in the Civil War than would in global World War II (at which time the county’s population had more than quadrupled). In 1864 Confederate troops fought the Northern army at the Battle of Cloyd’s Farm in Pulaski County. Although none of the four companies organized in Pulaski County at the beginning of the Civil War took part in the Battle of Cloyd’s Farm, members of home guard companies from both Pulaski and Montgomery Counties took part in the battle. Also, there were some civilians who seized their rifles and hurried to the Cloyd’s farm to join the Confederate troops. Two future United States Presidents fought at the Battle of Cloyd’s Farm including Colonel Rutherford B. Hayes of the twenty-third Ohio Regiment and Lieutenant William McKinley of the same regiment. The months following the Civil War brought a period of great unrest to Pulaski County. There was much poverty and hunger resulting in an alarming crime rate. However, by the end of 1869 the crime rate fell sharply and continued to decline. In 1870 the old English system of county government by a court composed of gentlemen justices or magistrates came to an end. A county board of supervisors elected by the people took over at this time and performed the executive powers previously performed by the gentlemen justices. The county treasurer was also established in 1870. Formerly, the sheriff of the county had served also as the treasurer. A decade following the reconstruction period found Pulaski County’s economy experiencing a boom. There were two incorporated towns in the county – Newbern and Dublin, some sixty-five merchants and tradesmen in business, nine hotels, twenty flour and grist mills, and seventeen saw mills scattered about the county. The 1880’s brought several heavy industries to Pulaski County including the Bertha Zinc Works, the charcoal fire Boom Furnace near Allisonia, and Pulaski Iron Company. Also, by the end of the 1880’s Dora Furnace was under construction in Pulaski. 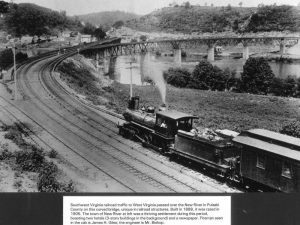 The rapid expansion of industry inspired the Norfolk & Western to build two branch lines running out of Pulaski County. While trade and manufacturing were going strong in Pulaski County, they accounted for only a minor part of the economy. The county’s biggest industry remained farming and stock raising. In addition, during this decade a number of new schools and churches were built throughout Pulaski County. In 1886 the Town of Pulaski was incorporated under the name of “Pulaski City”. The future county seat rapidly developed into a manufacturing center and railroad town. The Norfolk & Western Railroad made a valuable contribution to the new town in its early days by building the Maple Shade Inn. The county seat remained at Newbern until the courthouse was completely destroyed by fire on November 27, 1893. A big controversy subsequently developed between Newbern, Pulaski and Dublin as to where the county seat should be located after the burning of the Courthouse. Elections were held twice to determine the final location of the county seat. The second election finally wound up in the State Court of Appeals. In March 1895, the court ruled in favor of the Town of Pulaski as the new county seat. The land for the new courthouse and jail was donated by the Pulaski Land and Improvement Company. The new courthouse construction was completed in 1896. The total cost of the building was approximately $25,000, including architect’s fees. In 1898 one of Pulaski County’s citizens, Mr. J. Hoge Tyler, was elected as the Governor of the Commonwealth. During his administration a new state constitution was written. Governor Tyler’s old home, Belle-Hampton, still stands today in the Back Creek area of the Pulaski County. 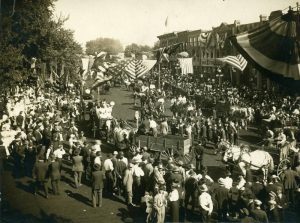 Shortly after the turn of the century a group of progressive Pulaski County citizens organized the “Pulaski Board of Trade”. This Board was created to seek diversified industries for Pulaski, including woodworking plants, furniture factories, overall and pants factories, cotton and woolen mills, and an ice plant. The “Board of Trade” became the Chamber of Commerce in 1952. 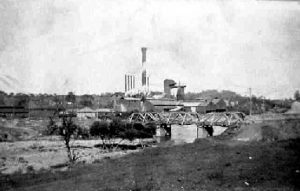 In 1905 the Pulaski Mining Company’s plant was completed on a site lying between the Pulaski Iron and Dora Furnace. This was Pulaski’s fourth heavy industry. This industry, known locally as the “Acid Plant”, was contemporary with the Bertha Zinc Company, Pulaski Iron Company, and Dora Furnace. However, the Acid Plant outlived them all by many years. The Acid Plant was one of Pulaski’s larger industries employing an average of over 250 men. 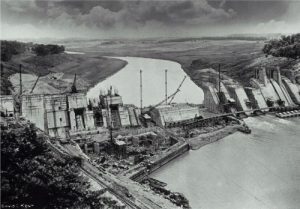 During World Wars I and II the plant’s production reached its peaks. Farming in the early 1900’s continued to be the basic industry of Pulaski County and had been developed to a high degree by generations of industrious and progressive farm families. Truck crops, wheat, corn, oats and other small grain were grown in Pulaski County, however, the larger landowners concentrated on livestock. By the turn of the century the county’s first herd of purebred Aberdeen-Angus had been established on a farm owned by J. R. K. Bell. At about the same time period herds of purebred Herefords were grazing on the pastureland of Haven Howe’s New River farm. Pulaski County gained a reputation for producing some of the finest cattle, horses, and sheep in America. Illustrating the hard working spirit of county citizens, a massive stone triple archway was built of Peak Creek stone in 1907 and shipped to Norfolk to form an impressive gateway to the Pulaski County Exhibits at the Jamestown Exposition in Norfolk. At the close of the exposition, the archway was taken down, brought back to Pulaski and, shortly thereafter, erected in front of the courthouse square as its new entranceway. A number of exhibits from Pulaski County were displayed at the exposition at the 1907 Jamestown Exposition, including minerals, metals, and other products from Pulaski County farms and manufacturing facilities. In addition, two statutes from the Bertha Zinc Works exhibited at the Exposition are presently on display at the Old Courthouse, First Floor. During World War I several Pulaski County men received World War I citations from both the American and French governments. Among these were Dr. William P. Gilmer of Draper’s Valley and Roy Hall of Pulaski. Dr. Gilmer, a young navy medical officer was sent to France where he served in field hospitals. Roy Hall served in Pulaski County’s Company L and fought the Germans at the Argonne Forest. He was awarded the American Silver Star and the French Croix de Guerre for his bravery and heroism. Like the rest of America, the 1920’s brought prosperity to Pulaski County. Factories were operating, unemployment was low and farm prices were good. However, with the crash of the stock market in October 1929, this lifestyle changed. It was estimated that during the depth of the depression some 8,000 Pulaski County citizens were facing stark hunger. Many others were near the limit of self-support. Pulaski Iron Company went out of business just at the beginning of the depression and many ironworkers became unemployed. While hosiery mills were maintaining operations and employed several hundred people, mostly women, the woodworking industries that employed men were hurting. Unemployment increased and wages dropped to 10 cents per hour. 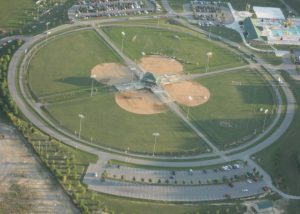 Stadium in the Town of Pulaski and the park on top of Draper’s Mountain Overlook were completed. In 1939 the county celebrated its 100th anniversary. Many activities took place in August of 1939 to mark this anniversary including a day of worship with centennial services being conducted in county churches, parades, band music, the crowning of a county queen and princesses, coronation ball, horse show, fireworks and two presentations of the pageant “100 Years of Progress”. The 1940’s brought World War II to our nation and Pulaski County. Again, Pulaski County citizens were called upon to defend our nation and ninety- four (94) citizens of Pulaski County gave their lives in this War. The 1950’s brought prosperity to the county. The Pulaski County Livestock Market in Dublin had grown into one of Virginia’s largest livestock markets. Most of the manufacturing plants of the 1930’s continued to operate with expanding production at this time. In addition, Radford Army Ammunition Plant, located in nearby Montgomery County, provided many jobs for Pulaski County citizens. The New River Valley Airport and Piedmont Aviation provided daily passenger service utilizing the new airport. The Airport became the first of several regional initiatives to locate in Pulaski County and remains as a long standing example of regional local government cooperation. In 1958 the new Courthouse was built behind the Old Courthouse facing Third Street in the Town of Pulaski. In addition, a new Library was constructed and opened on Third Street in the Town of Pulaski in the late 1950’s. In 1965 Interstate Highway System 81 was completed through Pulaski County. Also during this same year, the Ruritan National headquarters were moved from Wakefield, Virginia to Newbern. As with previous wars, the Vietnam War impacted Pulaski County citizens as many young Pulaski County men and women were called upon to serve. Despite the controversy which followed this war, Pulaski County citizens served with dignity and honor. A Pulaski County native and citizen, Julius Long, was imprisoned for fifty-eight (58) months in a Vietnam prisoner of war camp. 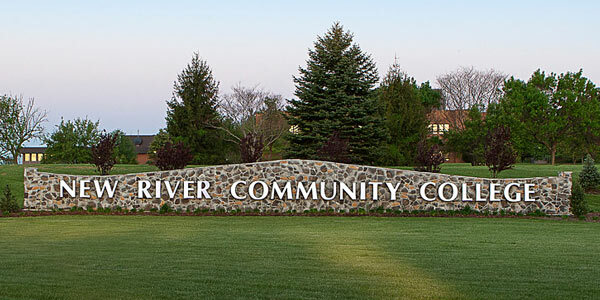 In the fall of 1970 New River Community College opened. This two-year state supported school is located just north of Dublin and serves students from the surrounding counties and the City of Radford. Enrollment for the 1970-71 school session totaled 637 students. Today enrollment has grown to over 4,000 students. The Board of Supervisors in 1971 appointed its first County Administrator. Previously, the Clerk of the Court also served as clerk to the Board of Supervisors and the chief administrative officer for the community. This appointment was made as the result of an ever increasing work load upon the court staff. In the 1970’s the county continued to grow and public water lines were constructed in many areas of the county. Merging of high schools in Dublin and Pulaski into a county-wide high school was a big issue in the early 1970’s. A referendum was held on this issue and the consolidated county high school was approved by the voters as was the debt necessary to finance its construction. In 1974, the Dublin and Pulaski High Schools merged to become Pulaski County High School located at the center of the county near Dublin. A new elementary school, Critzer Elementary, was also built and occupied in the 1970’s. A county building inspection department was also created in mid 1973. Previously, the building inspections within the county had been done by the Commissioner of the Revenue’s Office or the Town of Pulaski’s inspection staff. During 1974-75 the Board of Supervisors converted the “Old Central School Building” into the County Administration Building housing county offices and several state offices. The County Administration Building has since been renovated again and still serves as the local governing body’s office building. In 1974 White Motors built a new truck building facility at Dublin near the county high school. This heavy duty truck manufacturing facility became one of the largest employers in Pulaski County. Through various mergers and other means, this facility is known as the New River Valley Truck Assembly Plant in which both Volvo and Mack trucks are built. The assembly plant currently employs approximately 1,700 individuals. On April 19, 1974 the Pulaski County Public Service Authority supplied water service to it first customer in Pulaski County. A new water treatment plant facility was built in Draper in 1978 to supply the county’s water needs. This facility pumps water from Claytor Lake and supplies water to PSA customers, as well as to the Town of Dublin. The 1970’s brought a number of changes to the county’s economy. Construction activity grew as formerly agricultural land was developed into industrial parks, housing developments and highways. Despite a decrease in total acreage, the agricultural economy also grew and beef production reached an all-time high in the early 1980’s. Also, a number of small shopping facilities sprung up with large chain stores experiencing the bulk of the merchandising business during this time period. In the 1970’s local governments addressed national environmental problems by building on the regional model started with the construction of the New River Valley Airport. Faced with new federal standards for clean water, the Town of Pulaski, the Town of Dublin, Pulaski County, the City of Radford and Montgomery County jointly merged existing sewer treatment plants into the Peppers Ferry Regional Wastewater Treatment plant. This initiative was followed in the 1980’s with the joint utilization and development of landfills between the Town of Dublin, the Town of Pulaski, Pulaski County, and the City of Radford, as various landfills ran out of space and the problems of locating and citing new facilities faced the various governing bodies. The New River Resource Authority was formed and subsequently expanded to include Giles County, Montgomery County and other towns in the joint operation of the current landfill presently located on Cloyd’s Mountain. With three governments operating within Pulaski County, the issue of consolidation was looked at in the early 1980’s. A consolidation advisory committee was appointed with members serving from all three governments to review the issue and determine advantages, disadvantages, and any cost savings. A referendum on this issue was defeated by the voters of Pulaski County. This issue divided many Pulaski County citizens in considering the impact of loosing the identity of the two towns becoming shires within Pulaski County. In 1989 a new branch library was constructed and opened in the Town of Dublin. The library was named the Charles & Ona B. Free Memorial Library. At the end of the 1980’s on December 29, 1989 the Pulaski County Courthouse burned again with only the stone walls left standing. Many Pulaski County citizens were devastated by this fire. As in 1883 with the Newbern Courthouse burning, the issue of moving the county seat was again brought up. However, after much discussion and debate, the citizens voted by referendum to finance rebuilding the courthouse in the Town of Pulaski. Just three years later on December 29, 1992, the newly constructed courthouse was reopened to the public. A portion of the courthouse building now features historical exhibits and other artifacts of the county with courthouse tours given periodically. Presently, the Treasurer’s Office, Commissioner of the Revenue’s Office, the Registrar’s Office and the Information Technology Department of the county are housed in the Old Stone Courthouse. The 1980’s also saw significant shifts and a general diversification of the local economy as defense related employment at the Radford Army Ammunition Plant declined and local industries began being impacted by competition as products could be manufactured less expensively in other countries. The closing of AT&T, Burlington Industries, Flow Laboratories, and Lee Jeans all took place in the late 1980’s. Thankfully, the economic impact of these closings were buffered somewhat by the location of Bond Cote, BBA Friction, Motion Control, Renfro, and Warner Lambert. In addition, the expansion of the NRV Truck Assembly Plant attracted a number of supplier industries and other existing firms expanded. In the 1990’s the county continued to grow and develop. Again, the need to regionalize facilities proved economically prudent for the taxpayer. A new regional jail facility was built in Dublin and opened in April 1999. Improvements to Pulaski County High School, as well as renovations to Snowville Elementary and Critzer Elementary Schools, were major accomplishments in the mid 1990’s for the county citizens and its school children. In 1998, the county received a donation of some 87 acres from a life long resident of the county, Evelyn Alexander. Ms. Alexander requested the land be used for a recreation park for the county citizens. She also requested the name “Randolph” be used in naming the park once it had been built in honor of Ms. Alexander’s father, Randolph Alexander. In 1999 ground was broken for construction of this park and the park officially opened on June 30, 2001. Today, Randolph Park is a major attraction year round with children and individuals coming from as far as the Roanoke Valley to enjoy the outdoor heated swimming pool/water park, walking trails, playgrounds, and ball fields. According to the 2000 US census, the county’s population was 35,127. There are five magisterial districts (Robinson, Massie, Cloyd, Draper, and Ingles) within the county. Five members of the Board of Supervisors serve as the governing body, each representing one of the above noted respective districts. The county public school system operates eight elementary schools, two middle schools, one high school, one alternative school, and one governor’s school. The School Board members are elected by the voters every four years. There are also two public libraries within the county with one being located within the Town of Pulaski and the branch library located within the Town of Dublin. The county has one medical hospital, Pulaski Community Hospital, four nursing homes, and one mental health facility. In October 2002 a newly constructed Pulaski County Visitors Center opened in Pulaski County. Located off Interstate 81, this facility was built to promote tourism and showcase Pulaski County. The facility also houses the Pulaski County Chamber of Commerce. The Visitor Center is open seven days per week and just recently celebrated it’s first full year of operation. As Pulaski County enters into the twenty-first century, many new problems and issues have arisen. New challenges are faced in encouraging the growth of existing firms and recruiting new industries and businesses to Pulaski County, as the national economy moves toward imports under free trade legislation. Again, Pulaski County worked with her sister counties in the formation of the New River Valley Economic Development Alliance in 1987 to jointly market the New River Valley and Virginia’s First Industrial Facilities Authority in 1998 to jointly build industrial parks and share in the resulting tax revenues. This legislation and its implementation was a first in the Commonwealth and continues the tradition of Pulaski County citizens being hard working, honest and willing to work with their neighbors.